Make sure you can book a ride anytime, anywhere. You can now buy prepaid load straight from the Grab app! 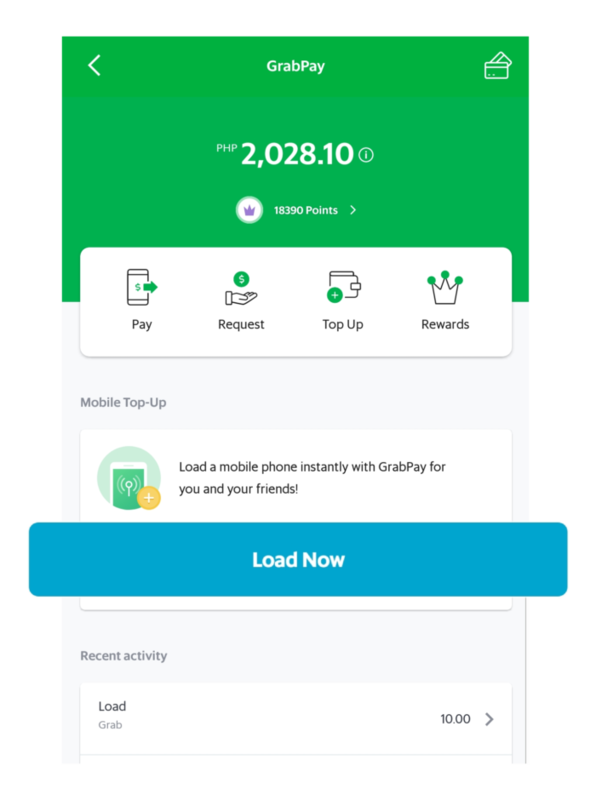 Use your GrabPay Credits to buy load instantly. Make buying load as hassle-free as paying for rides. 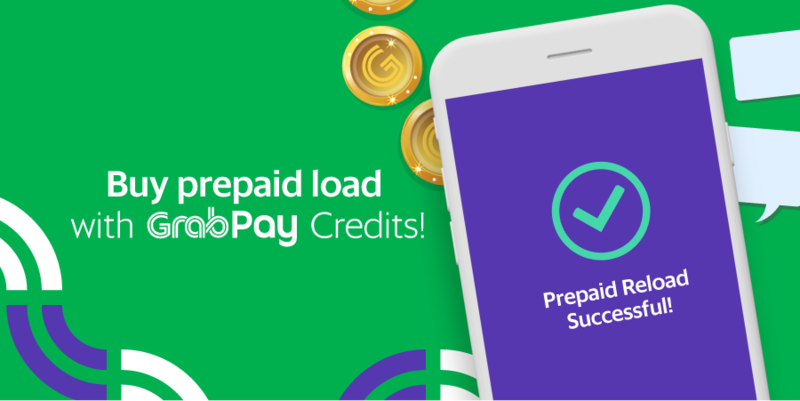 Buy load with GrabPay Credits! Can I buy load for other mobile numbers? Yes, you can buy load for any prepaid number. Just input the mobile number before selecting the load amount you want to buy. What networks can I buy load for? Prepaid load is available for Globe, Smart, TM, TNT, and Sun. What kind of prepaid load can I buy? You can buy regular load or selected combos. Enter the mobile number to see what denominations or combos are available for your network. Can I buy load using cash, or using my credit/debit/prepaid card? No, you can only use GrabPay Credits to buy load. How will I know if my transaction is successful? You can see the transaction details under “Recent Activity”. You should also get a notification from the Grab app, and the load recipient will get an SMS confirming the amount. My transaction is stuck at processing, what should I do? In some cases, it may take 15-30 minutes for your transaction to be fully processed. Please wait for the notification, or check “Recent Activity” before starting another transaction. For any concerns, you may contact us through the Grab support channels. Your payment will be automatically refunded to your GrabPay Credits balance within 1 hour, and the failed transaction will reflect on “Recent Activity”. For concerns, please reach out to us through Grab support channels and we will help check on the status of your refund. What happens if my mobile number is not supported? Please reach out to us through Grab support channels so that we can coordinate with our tech team to confirm / update your prefix.